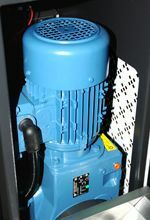 German brand gear motor; for SG-14/24T, the motor and granulator are connected by coupling joint; SG-24N adopts torque arm flange to fix the gear motor. With integration of staggered blades and trapezoid screenless teeth cutter, it can perform coarse and fine crushing simultaneously. 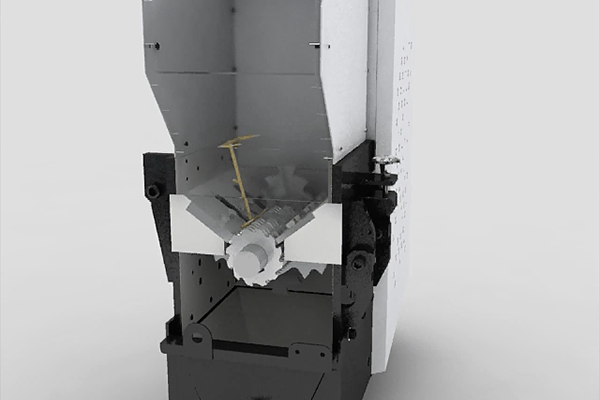 SG-14/24/24T series granulators operate in super low speed to cut materials into well-proportioned granules. There are least dusts produced in the cutting process. Multiple security devices ensure high safety grade; automatic reverse running function ensures continuous operation. 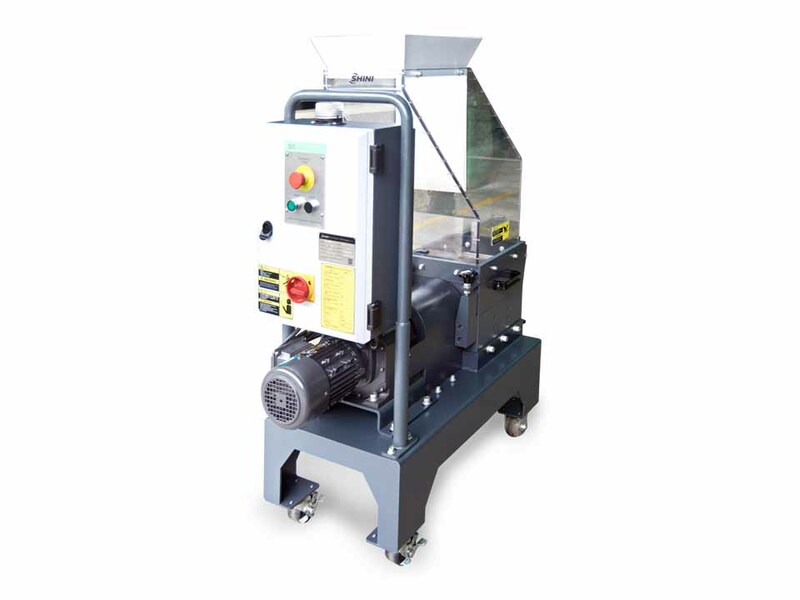 This series of screenless granulators are suitable for granulating hard and thick materials. For SG-24T series, there are two gear motors and two cutting chambers to work simultaneously. It can not only granulate the sprues and waste material, but also has an effect on long and thin or tougher sprues materials. SG-14/24 series German-made gear motor features steady performance, long service life and high torque. 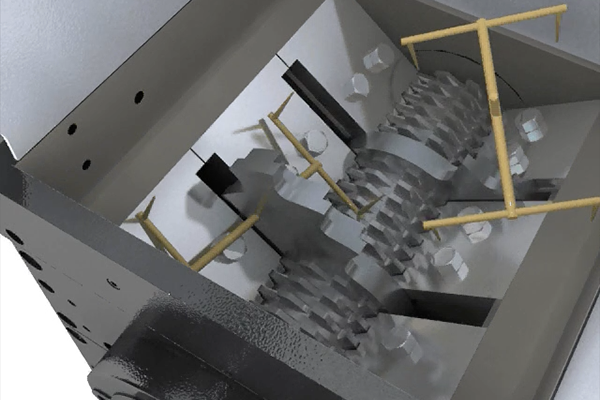 SG-24T series have two German - made gear motors and two cutting chambers working simultaneously to provide reliable performance and high torque. 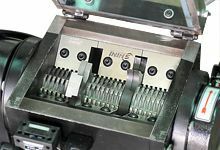 SG-14/24 series teeth cutters and cutting blades are integrally fitted in one cutting chamber. 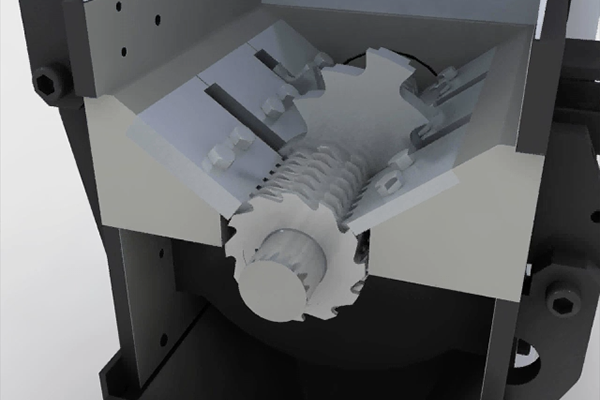 SG-24T series feature integral design of double teeth cutters and cutting blades. Staggered blades make the initial cutting and teeth cutters reduce the materials into desired size. Regrinds could be used with virgin materials. SG-14/24T series motor shaft and rotor shaft are connected by shaft coupling thus ensuring smooth cutting action and convenient motor replacement. SG-24 series unique synchronous transmission belt ensure smooth running of the machine and low noise level. 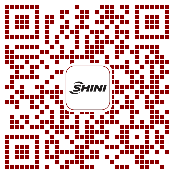 When motor blockage occurs, the machine will alarm visibly and enable motor reverse running function. It resumes normal operation automatically after the trouble is clear. "Euro" style appearance, compact in size and easy to access for cleaning and maintenance. Screenless design, well-proportioned size of regrinds and least amount of dusts. Regrinds could be used with virgin materials. 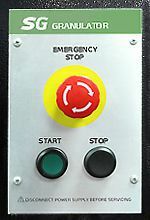 Upon request, it can be built to comply with worldwide electrical safety standards (For example: CE, UL, CSA, JIS etc. ).